서울대 인문대 영문과 및 동대학원 졸업. 1991년 「 Leavis와 Raymond Williams연구―비평적 판단의 객관성 문제를 중심으로」로 박사학위 받음. 현재 한국과학기술원 교양과정부 교수, 계간 『창작과비평』편집위원. 주 요 논문으로 「여성문학론의 비판적 검토」 등과 저서로 『비평의 객관성과 실천적 지평― 리비스와 레이먼드 윌리엄즈 연구』 『세계문학론』(공저) 등과 역서로 F.R. Leavis의 『영국 소설의 위대한 전통』, 『변증법적 문학이론의 전개』(공역), 『토박이』, 『미국의 꿈에 갇힌 사람들』(공역) 등이 있음. 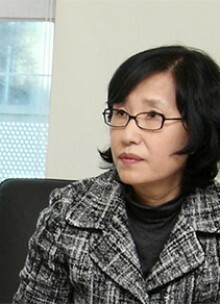 Born in 1957 in Seoul, Kim Young-hee studied English literature (BA and MA) at Seoul National University and received a Ph D in 1991 for her “A Study of Leavis and Raymond Williams.” Currently a professor at the Korea Advanced Institute of Science and Technology (KAIST), she has authored The Objectivity of Criticism and Practical Horizons: A Study of F. R. Leavis and Raymond Williams, translated into Korean F.R. Leavis’ The Great Tradition, Richard Wright’s Native Son, and co-translated into Korean Fredric Jameson’s Marxism and Form and Mike Davis’ Prisoners of the American Dream: Politics and Economy in the History of the Us Working Class. 아직도 여성을 장식으로 삼는 사회?